We’ve been milking this sweet young goat for nearly two months now and I have hardly written anything about her. There’s a reason for this. The learning curve is steep and round. Annie is new to milking, and so are we. 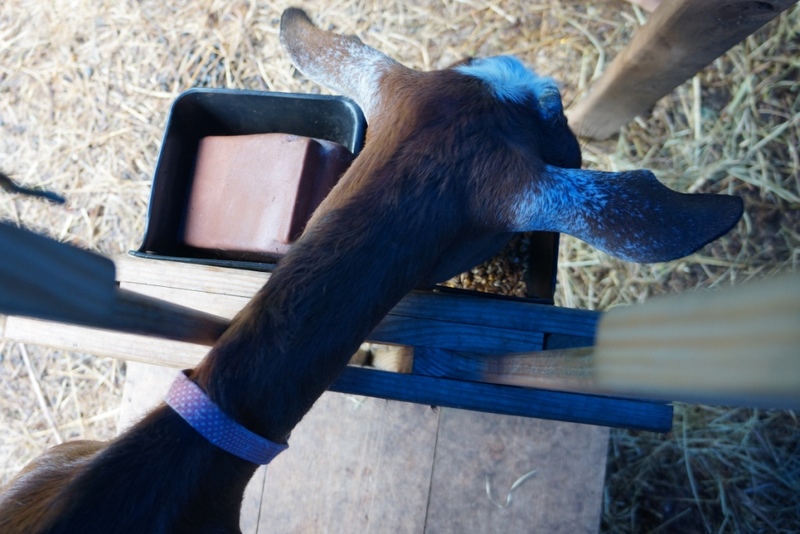 Here’s how it has been: First thing in Lulahs’ morning, she and I load up a yogurt cup of warm soapy water, the same amount of goat chow, and a stainless steel bowl. Because Lulah is not an early riser, Annie is always ready for us. She has a view of Lulah’s window from her sleeping shelf and I think she watches for Lulah to get up. She hops up on her stanchion and Lulah dumps the chow into her feeder box. I squeeze out a dishcloth of soapy water and wash her udders down. Then I pick up her right rear leg and Lulah milks her. We get about a pint of milk. It’s not very much. Some days, the kids (human ones) drink it straight away. Whatever little portions don’t get consumed immediately sometimes add up to a nice batch of sour milk for cornbread. Nothing wrong with that. 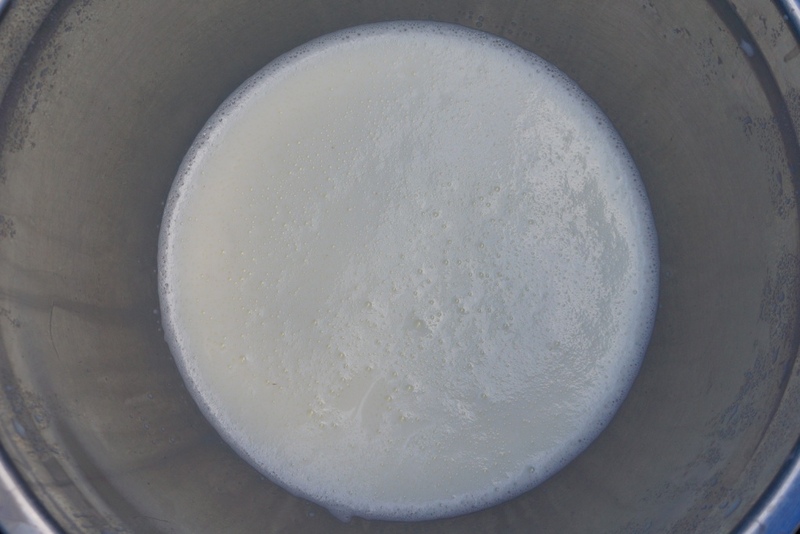 It is quite a lot of do-ing for a pint of milk each day. But I don’t mind too much yet. We’re learning a lot. Lulah is a horse girl. We waited quite awhile, to see if she would grow out of her horse love, but she hasn’t. We found a very good mentor for her, and that’s been wonderful, but the truth is, we cannot house a horse on our property right now. The goats are our compromise. Lulah gets some at-home hands-on experience with working four legged mammals that are larger than the cat. We get some milk. The goats get to browse to their heart’s content. Everyone wins. And this week, we had all went for the gold. Annie has begun to stand for milking without me holding up her leg. She gets feisty when she runs out of chow, but we’ve usually tapped her out pretty good at that point, so as long as we pay attention to how quickly she’s eating, no harm done. Besides, as a mother who breast-fed for a long time, I am sympathetic to her feelings about this. I would have to be fed something really wonderful, too, to allow another species to take my milk. Maybe. I heard this story once, about villagers in some remote location who would, when necessary, nurse an orphaned goat kid. At the time, I thought it was kind of funny. I couldn’t relate, not one bit. But now, having established a relationship with a goat, her kid, and her milk, I am beginning to see the light. It’s practical. There are probably no farm co-ops or Tractor Supply Co. stores in these villages. No farm stores means no powdered milk replacer for orphaned livestock. Also, take into account that it is largely the women who tend to the goats and that these women, by and large, breast-feed their children for quite awhile. Given this, someone in an extended family will be lactating almost all the time. 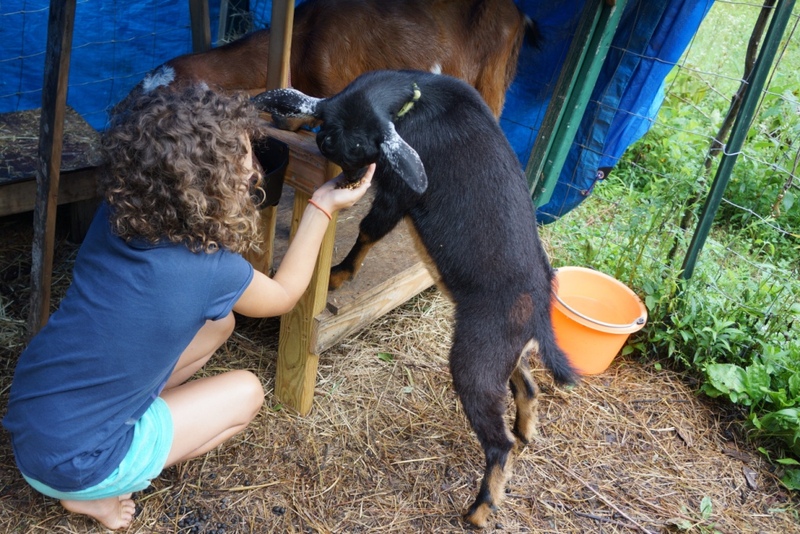 If the orphaned goat kid doesn’t make it, it’s one less milk goat, or meat goat, coming along. One less milk or meat source matters to these folks more than most of us can imagine. It is well worth the effort of cuddling up to another kind of critter, and sharing your personal abundance. 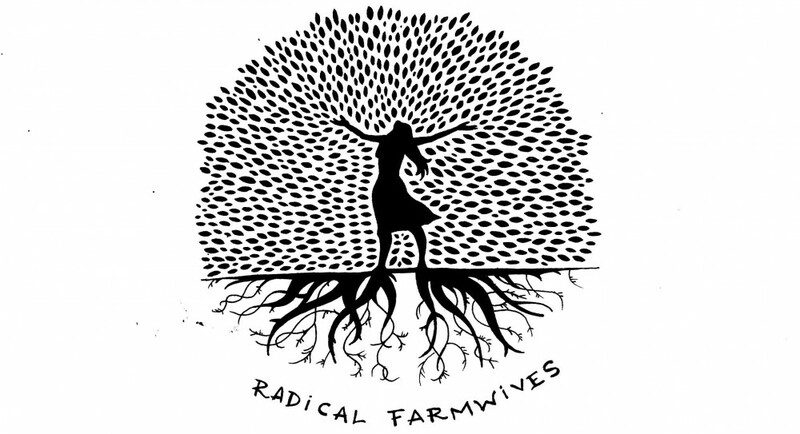 I am grateful to live where we do have access to farmer’s co-ops and the like, even if we don’t use them much. I am grateful for Annie and Pepper, for the good experience we are sharing, for the fresh milk. And even though I still cannot imagine myself nursing a baby goat, I am also grateful to share the world with people do. This entry was posted in Uncategorized and tagged goats, lactation, life, milking, summer by Coree. Bookmark the permalink. My friend Angel pumped milk for a baby squirrel that fell from a tree during a storm. It still makes me smile. oh i love that! great participation in the mammalian miracle food web! goats are a hoot. they get along well with kids. it’s sort of like making friends with a very vocal and stubborn deer! yes – the teeth are small – but the little goat lips are incredibly soft. keep up the goat dreams – i hope they come true some day! Oh my, we are going through just this! Our kids are only 3 weeks, however. I started trying to milk but our doe started refusing the kids. After checking in with a fellow goatherd, she said just leave the milking till later. So, we’re just practicing getting used the milking stand and such. Our doe has been milked after one pregnancy before, but she clearly is looking back at me with a look that says, “you really have no idea what you are doing, do you? !” It is a steep learning curve indeed, but we will get there. One of our kids has the same markings on her ears, the white rings! Love the story about the villagers, so interesting! Good luck! aren’t those little white speckles so cute? 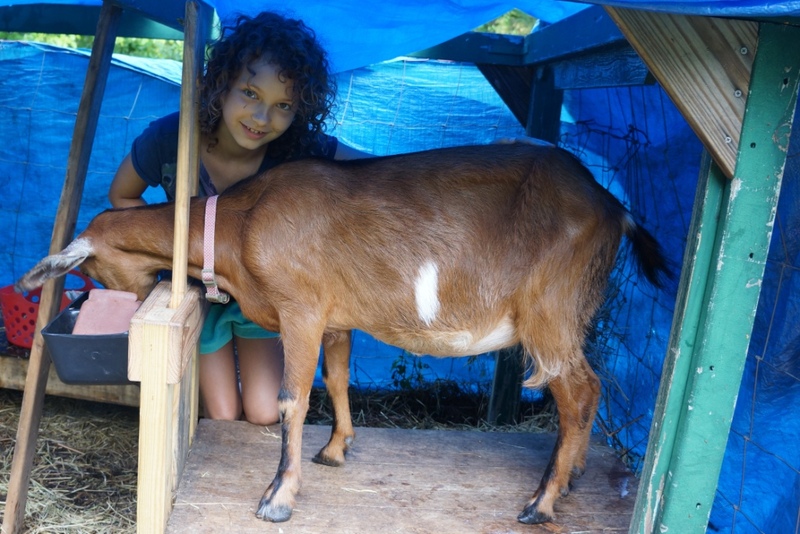 patience and more patience, sprinkled with fun – that’s what we’re learning from our goats so far. i hope you will all get accustomed to each other soon. good luck to you too!